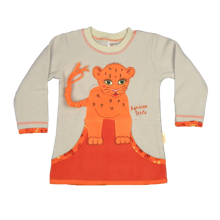 A plain, neutral beige polar fleece long sleeve sweater is brought to life with a range of orange details. 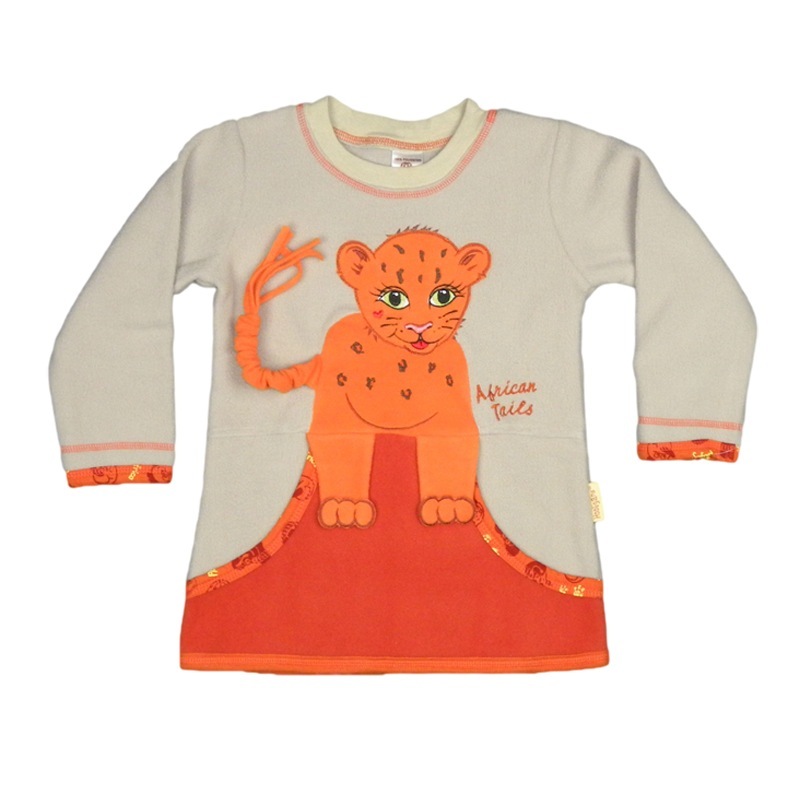 The first being a gorgeous cheetah cub applique with embroidered spots & beautiful green eyes. Her tail is not fixed & can keep little fingers busy. The front orange panel is a pouch pocket where little hands can hide from the cold. Printed orange fabric & orange top stitching frame the pockets, wrists & neck line.